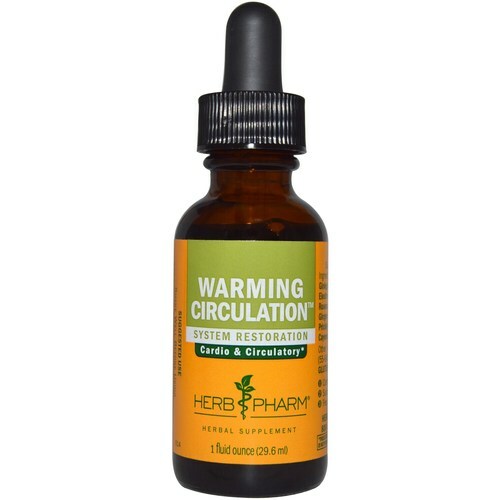 Warming Circulation by Herb Pharm blend together ginkgo leaf, rosemary leafy tips, prickly ash bark and more. Advertências: Seek expert medical advice before taking during pregnancy. Do not take undiluted. Keep out of reach of children. Store away from heat & light. Recomendações de uso: Shake well before using. Take up to 40 drops in 2 oz. of water or juice, two to four times per day. Best taken between meals.